Nobody wants family-sized three-door coupes anymore. That’s why Volkswagen canned the Scirocco for the T-Roc. 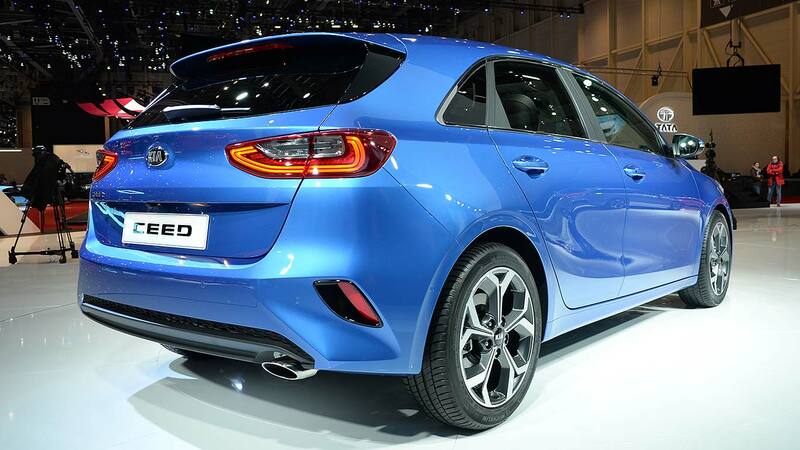 And it’s now why Kia has ditched the three-door pro_cee’d (sic) for this sleek-looking replacement. Praise be, it even now has a sensible name: Proceed. You’ll recognise its influences right away: Mercedes-Benz CLS Shooting Brake, Porsche Panamera Sport Turismo. Only instead of costing more than £50,000, you can get one of these for under £24,000. Believe me, as I found on the first drive event in Barcelona, you’ll turn just as many heads. The Proceed sits above the Ceed five-door hatch and Ceed Sportswagon in the range. 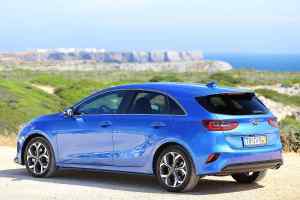 You could argue Kia now has two estates in this sector, but while the Proceed has a voluminous boot, it’s very much about sleek style over cargo-carrying clout. It’s going to compete with its Hyundai sister car, the i30 Fastback. 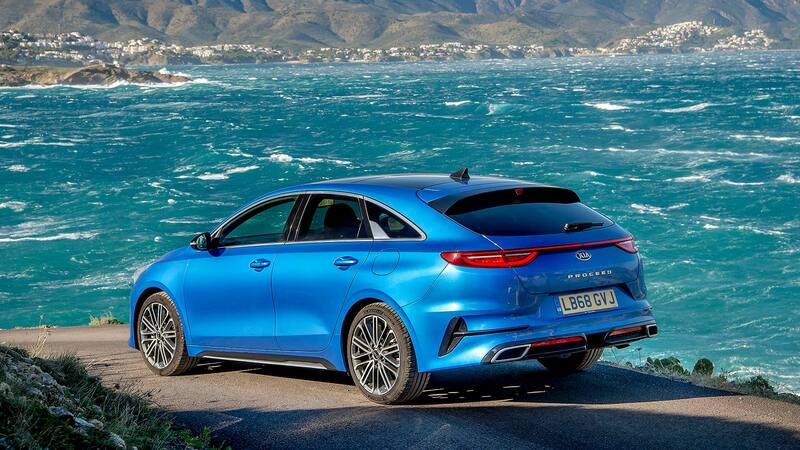 That’s more of a hatchback-coupe than a genuine shooting brake, though, while the Proceed genuinely bears comparison with such exalted company. Other rivals: there aren’t many. The Mercedes-Benz CLA Shooting Brake is the most obvious similar-size alternative, but the starting price for that is at least £5,000 more. The Proceed is only being sold in ‘posh’ trims: GT-Line, sporty GT and fully-loaded GT-Line S. There are three engine choices: 138hp 1.4-litre turbo petrol, 201hp 1.6-litre turbo petrol and 134hp 1.6-litre turbodiesel. The 1.4 will sell best, and petrol versions come with the DCT semi-auto gearbox only. Diesel buyers can opt for DCT or manual. 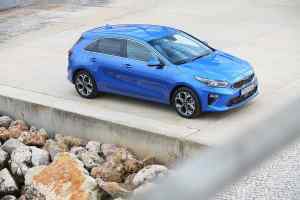 Kia reckons there will be two likely customers: retail buyers looking for a more standout alternative to a family hatchback (but who don’t want an SUV), and company car drivers who need the practicality of an estate but, well, don’t want an estate. Regardless, it will be a niche model: 20 percent of overall Ceed sales. The Proceed’s USP is how it looks: like a compact, better-proportioned Porsche Panamera Sport Turismo. It appears long, low and elegant, but is not too big or heavy, with well-crafted lines and clean, curvaceous surfaces. In blue, with a decent set of alloys, it could pass for a car costing £10,000 more (and from a premium brand, too). It turned heads for two days while on the Spanish first-drive event. Twitter seemed to love it, too. 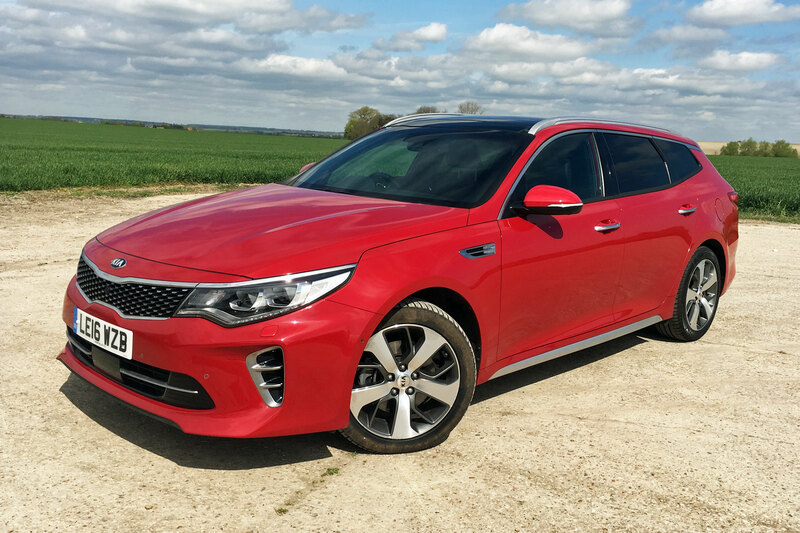 That you can buy a car that looks this good for less than £25,000 means full marks to Kia. It’s a machine you’ll be proud to have on your driveway. How is the Proceed different to the Ceed and Ceed Sportswagon? The Proceed is lower and longer than its sister cars. It rides lower to the ground and, for maximum impact, has ‘ice cube’ LED running lights and a Porsche-style LED light bar at the rear. 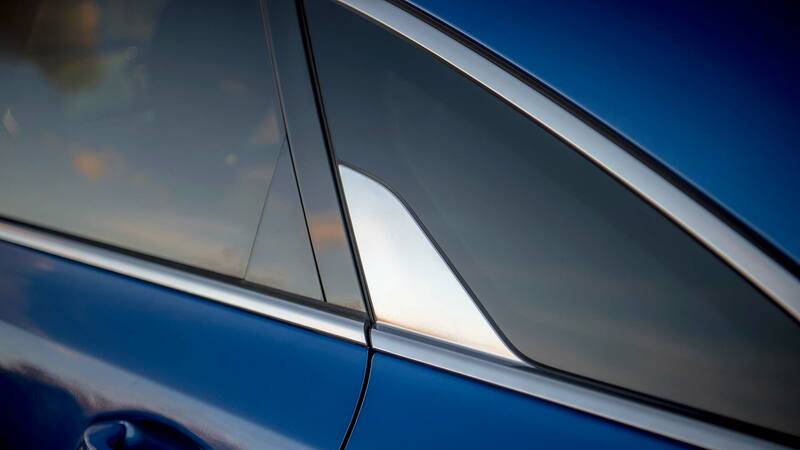 The chrome ‘shark blade’ side window feature is pretty neat. The rear screen is much more angled than other Ceeds. It’s 13 degrees more inclined than the squared-off Sportswagon, and sits a few degrees flatter even than the hatch. And this has benefits when you open the boot. The boot is a mammoth 594 litres, not far shy of the estate’s 625 litres. Of course, you won’t be able to carry big, boxy items – slam the tailgate and you’ll smash the rear glass – but there is another surprise benefit to this open-plan load space: you can easily lean in and retrieve things. No ducking down and crawling into the boot here. 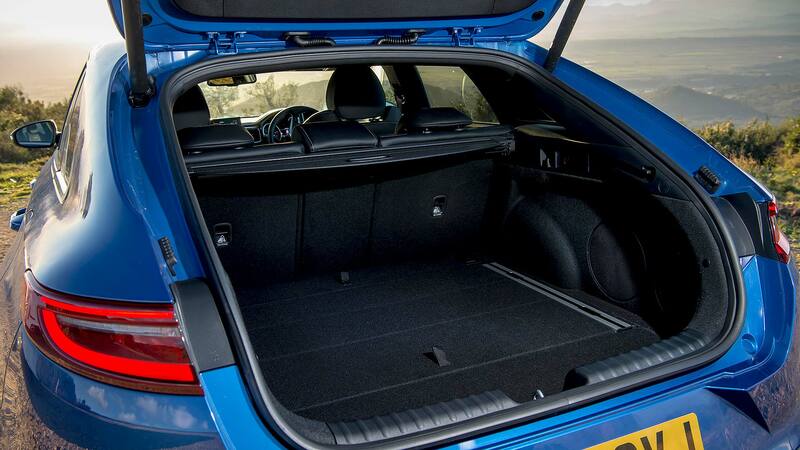 A high, flat boot floor eases things further, and if you pick the GT-Line S, you get 40:20:40-split rear seats. And a plethora of hidden cubbies beneath the boot floor. Cars this stylish are rarely as practical as the Proceed. Inside, it’s more stock Ceed. That’s not a bad thing, as the new model has an upmarket appearance, a quality finish, and evidence of the soft-touch plastics they use on Audis and BMWs. 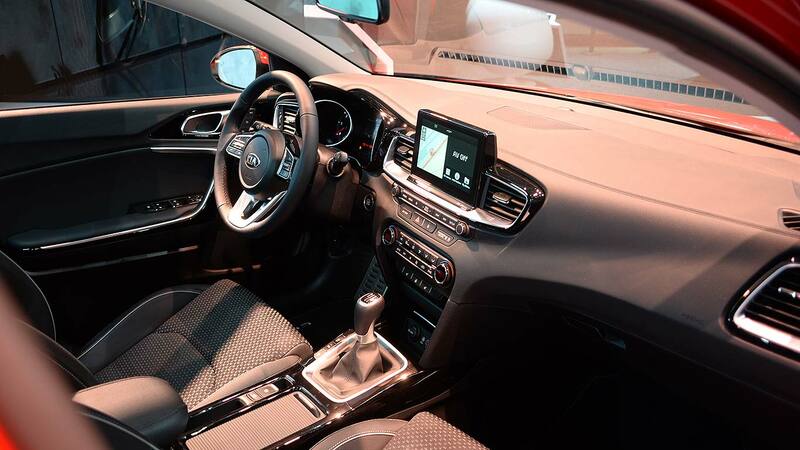 The standard eight-inch touchscreen is easy to use (sat nav, Apple Carplay and Android Auto are standard on all) and the GT-Line S gets wireless smartphone charging. The lower roofline doesn’t seem to hurt headroom, but rear footroom and legroom is a bit tight, due to the well-bolstered seats (and the standard power-operation on the S). Electric seats are mounted a touch high, but they’re firm and supportive, with chunky bolstering. A black rooflining and D-shaped steering wheel further up the sportiness. Once underway, refinement is the first thing that strikes you. This is an extremely quiet and classy cruiser, with little wind noise and forgivable levels of road roar. 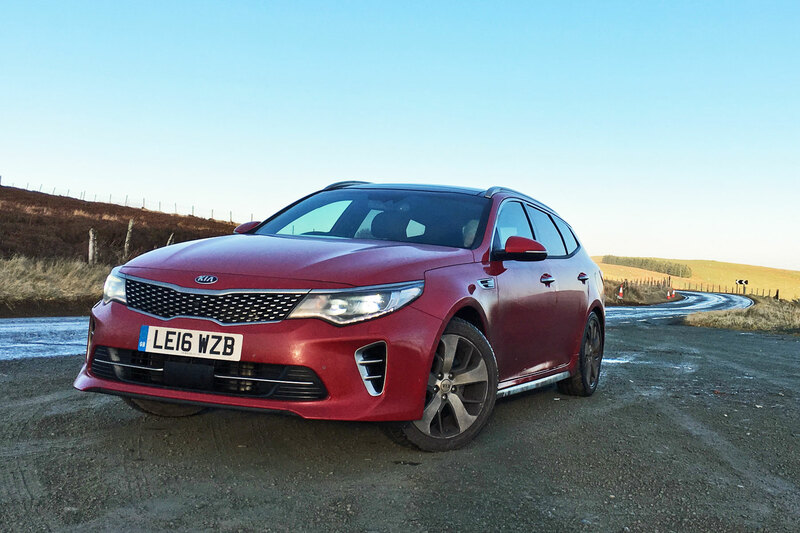 The ride has a plush feel, with just an underlay of knobble (and the occasional bit of harshness) on the 18-inch wheels of the GT-Line S test car. We drove the 1.4-litre petrol engine with DCT auto. It’s a very good motor, hushed at lower revs and bearable even when revved, until you go over 5,000rpm, when it becomes thrashy and weedy-sounding. There are times you wish for a bit more pull, but generally its muscle is more than ample. The seven-speed auto complements it perfectly. The Proceed proved to be an adept fast-road cruiser on scarred Spanish backroads. Quick steering, an engine that gives its best at mid-range revs and expensively-engineered suspension (it has a high-end multi-link setup front and rear, like a premium car) mean it punches above its price bracket. The comfortable ride does mean it can roll a bit in corners if you chuck it around; there’s a firmer GT model (see below) if that’s your sort of thing. Better instead to enjoy the ride – oh, and the feel of the brakes, which are as nice to use as a BMW’s anchors. Again, they feel much classier than you expect in this sector. They’re a small, telling detail. Want to go faster? The £28,135, 201hp GT is for you. It has stiffer suspension, so it rolls less and remains better controlled at speed, with admirably limited effect on the ride quality. For fast-road motoring, it’s satisfying – again, the quality suspension makes the difference. The aged-feeling engine isn’t great, though. A 201hp output doesn’t go far these days. It only really starts to surge above 5,000rpm, and becomes uncomfortably loud beyond 6,000rpm. And it’s thirsty: we saw 22mpg after an hour’s fast-road driving (official is a poor 37mpg). It’s a GT, not a hot hatch. Unless extra speed is all, you’re better spending a just a few hundred more on the better-equipped 1.4 GT-Line S. It’s simply a nicer car. There’s also a diesel, supposedly a new ‘Smartstream’ 1.6 CRDi 134, complete with NOx-reducing SCR selective catalytic reduction tech (it has a nozzle for AdBlue in the fuel filler). It emits around 20g/km CO2 less than the petrol (claimed economy is 56.5mpg compared with 45.6mpg). But it’s also not a great engine. The Smartstream makeover seems to have made it noisier and lumpier. Pulling away when cold, it sounds a little like a knackered Transit van. It hates revving much over 3,000rpm and makes a terrible racket, while only the DCT auto has the full measure of pulling power – torque is restricted in the manual, so it doesn’t feel as strong. 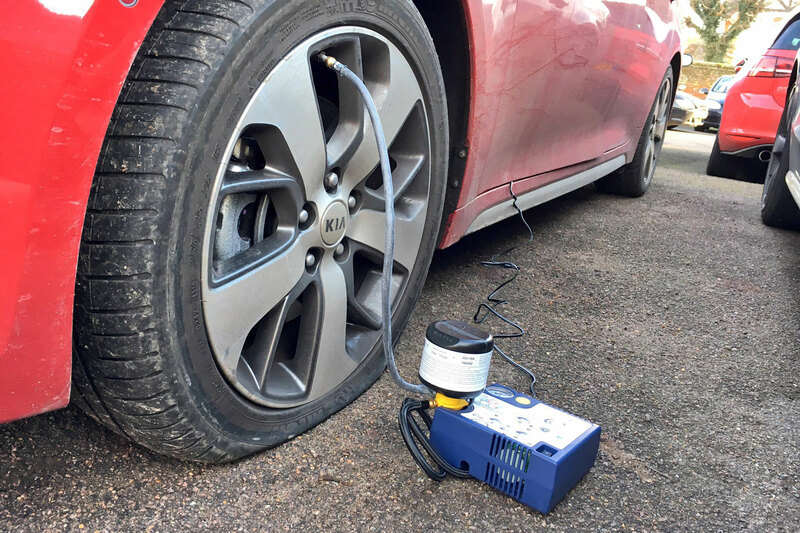 Unless your company car manager insists, go for the petrol (thanks to Britain’s ludicrous new diesel tax rules, the difference in your tax bill will be minimal, anyway). 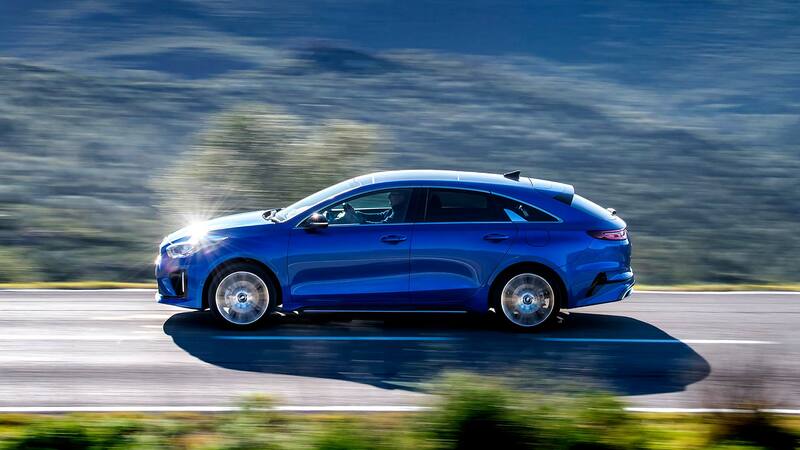 Kia Proceed prices start from £23,835. That gets you a GT-Line 1.4 T-GDI. The diesel is £850 more, and a DCT is £1,100 extra (it’s standard on the GT). Even GT-Line gets heated seats and steering wheel, 17-inch alloys, reverse camera and sensors plus keyless entry. GT-Line S is top grade, only available as a 1.4 T-GDI DCT, for £28,685. It adds full leather seats (heated in the rear, too), 18-inch alloys, full LED headlights, a power tailgate, JBL audio, a large sunroof and blind spot warning. It’s a car that costs a similar amount to a basic Mercedes-Benz CLA Shooting Brake. We know which one we’d have. 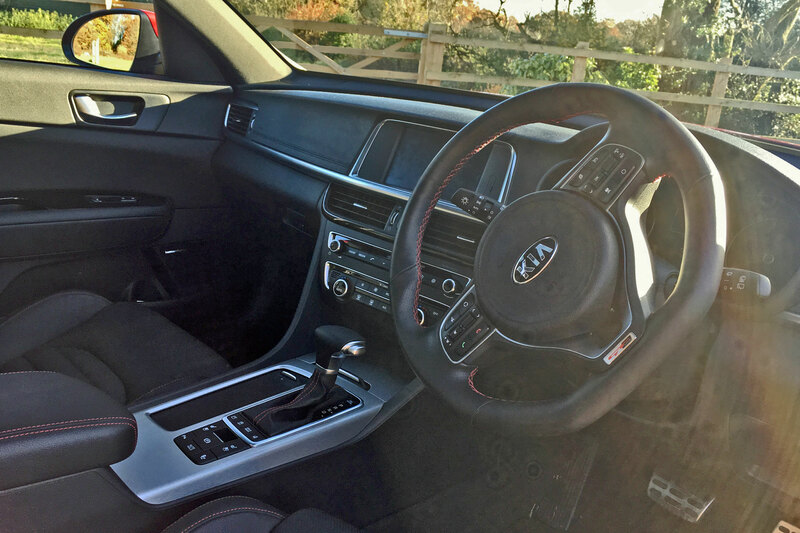 The Kia Proceed is a refreshing addition to the family car sector. 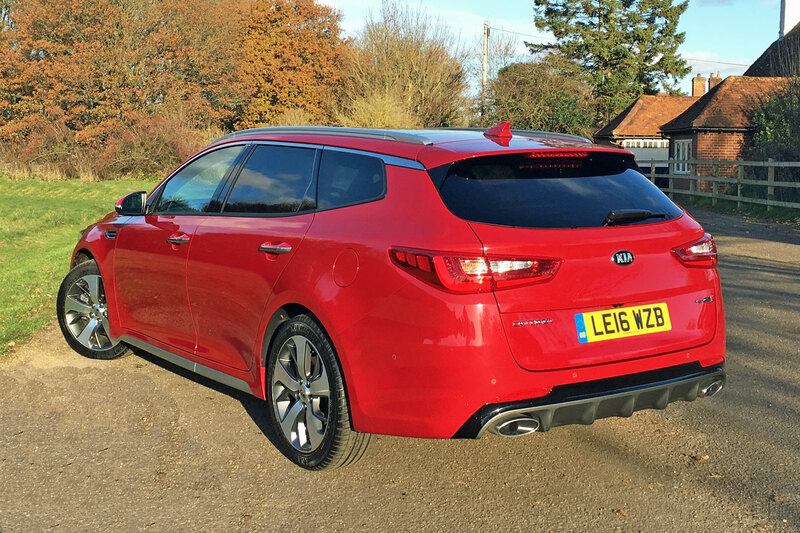 Shooting brake-style ‘coupe-estates’ have been restricted to the premium sector for years, so it’s great to see Kia bringing one to the affordable family car arena. Particularly one that looks as good as this. It’s surprisingly practical, decent value for money, drives nicely and generally offers a fittingly classy and upmarket experience. If you’re bored of family hatches, it shows you don’t need to move into an SUV to get something different – and you’ll win far more admiring glances with one of these, take our word for it. 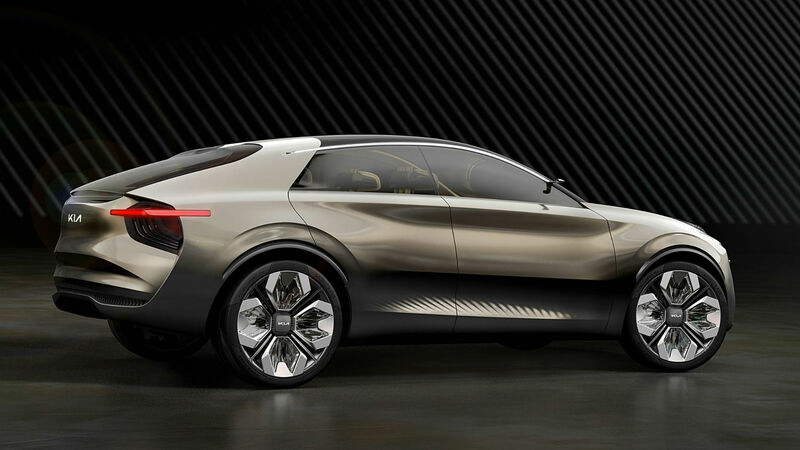 Kia describes its new monster truck as “ranch-ready with saddle-like leather accents”. Granted, that’s with reference to the New York Fashion Week concept version seen here, but you get the point. The Telluride is an extra large – with extra cheese – blunderbuss of a car, named after a town in the Colorado Rocky mountains. All-American hyperbole aside, it’s a large SUV not unlike the Audi Q7. It seats eight, looks great and is most certainly not lightweight. 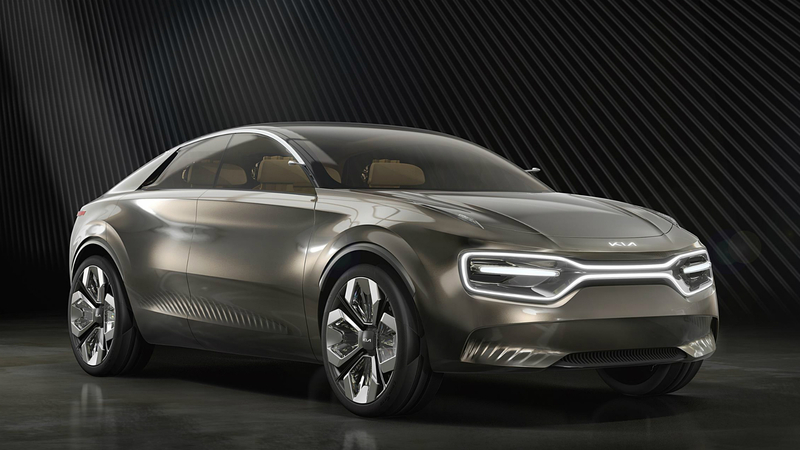 It makes us wonder whether Kia could score a home run by offering this type of flagship SUV in the UK, complete with a bombproof warranty to worry German rivals. 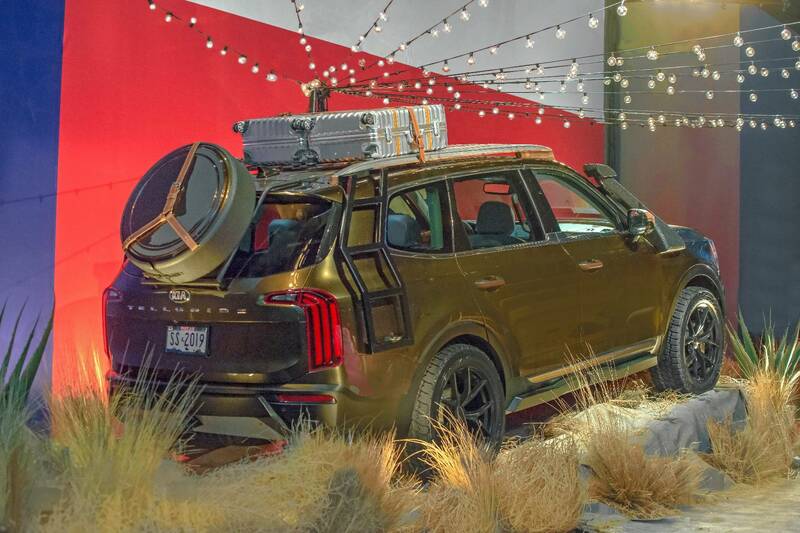 Could the Kia Telluride have a place in the UK? That’s the question, isn’t it? 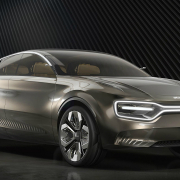 Kia is keen on making statements of intent at the minute. The Stinger GT is all about affirming the company’s place as a legitimate alternative to the premium executive stalwarts, and does so really rather well. Truth be told, it sticks out like a sore thumb in the current range of value-for-money volume fodder. 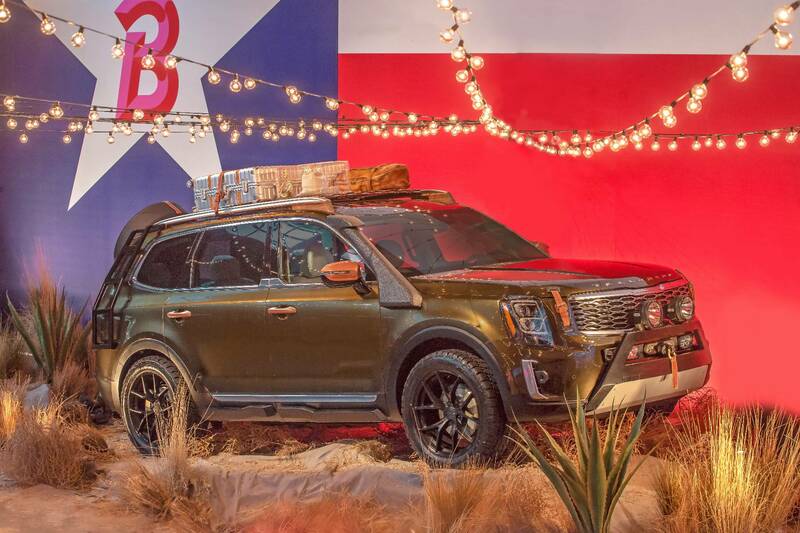 With the eight-seater, Georgia-built Telluride by its side, Kia’s range of premium cars would gain strength and no little style. It is premium, too. Underneath all that Texan garnish the cabin features lovely styling with similar design language to what we saw in the Stinger’s cabin. On the outside you could take the badges off, stick it in a Grand Theft Auto game and players would mistake it for a fictitious recreation of the Bentayga. It really does have that kind of presence – and no, that’s not an illusion generated by all the adventuring paraphernalia on the car pictured. Is the King Kia too big for our roads? A big truck is a halo car and a statement, just like Volkswagen’s Touareg, the Audi Q7 and, of course, the SUV that started it all: the Range Rover. A premium SUV at the head of the range adds brand kudos – just ask BMW (although they might be busy readying their X7 flagship SUV). On the X7, there’s the argument about size. The argument is ongoing about whether certain cars are too big for UK roads. Yet here we are about to receive a proper American-sized (and American-built) German bus onto our Tarmac – the largest BMW ever made. Why shouldn’t the Kia join it? A beefy X7-sized truck with Stinger-esque feel, eight seats and a seven-year warranty, and for thousands less than the aforementioned German bruiser, sounds like a winner to us. Some Euro-centric tweaks – like a competent hybrid model and a toning-down of any chrome lashings – and it’ll be ripe for sale, we reckon. 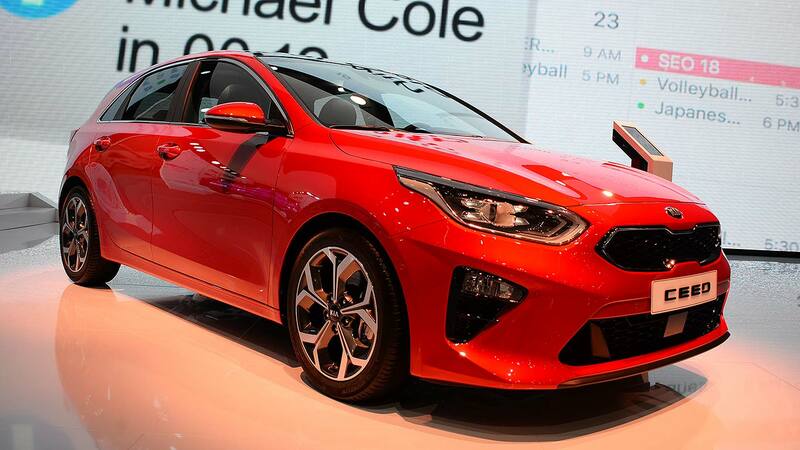 At the very least, it’s another mega boost to Kia’s brand image, picking up where the Stinger left off. 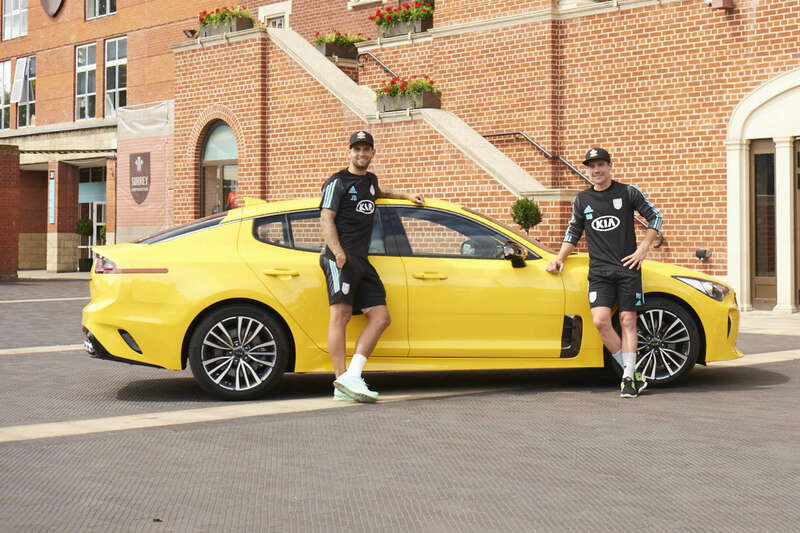 The two captains of Surrey County Cricket Club’s men’s teams will be arriving in Sunset Yellow Kia Stinger GT-Line models for the remainder of the season. 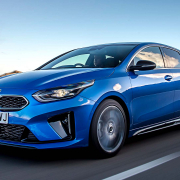 Rory Burns, captain of the County Championship and One-Day Cup sides, and Jade Dernbach, captain of the T20 team, will be standing out in the 2.0 T-GDi GT-Line version of Kia’s flagship model, and not the Audi-baiting twin-turbocharged GT-S model. The pair figured that the lower-powered version would make more sense on the congested roads around the Kia Oval, especially as the GT-Line is still able to cut a dash in any car park, especially in Sunset Yellow, which happens to be the only no-cost colour option. 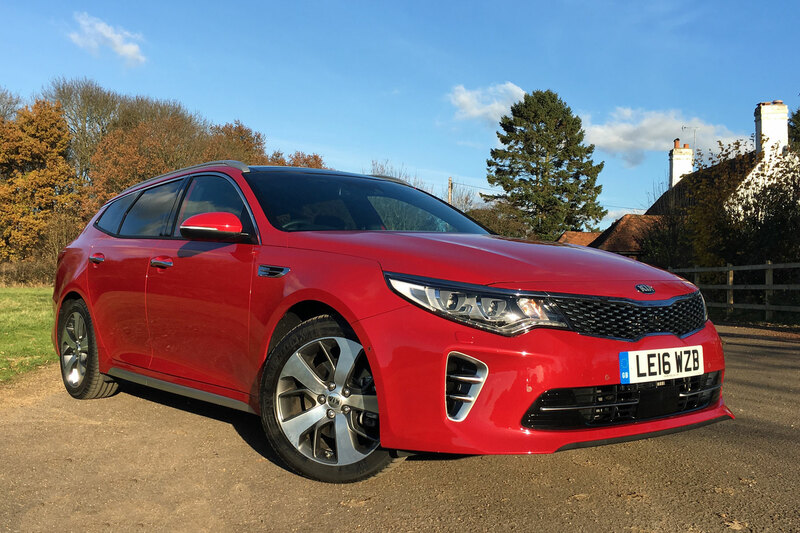 The Stinger range starts at £32,025, with even the entry-level GT-Line boasting 18-inch alloy wheels, leather upholstery, memory driver’s seat, heated seats, an eight-inch display, front and rear parking sensors, head-up display, smart cruise control and a limited slip differential. The GT-Line S adds LED headlights, electric tailgate, 15-speaker Harman/Kardon sound system, sunroof, wireless phone charger and 360º around view monitor. The flagship GT-S boasts Brembo brakes, Nappa leather and electronic controlled suspension. The cricket captains will have to live without the sublime 370hp 3.3-litre V6 engine found in the GT-S, but the 2.0 T-GDi offers far more than a medium-pace delivery, with a 0-62mph time of 5.8sec, just 1.1sec slower than the V6 version. 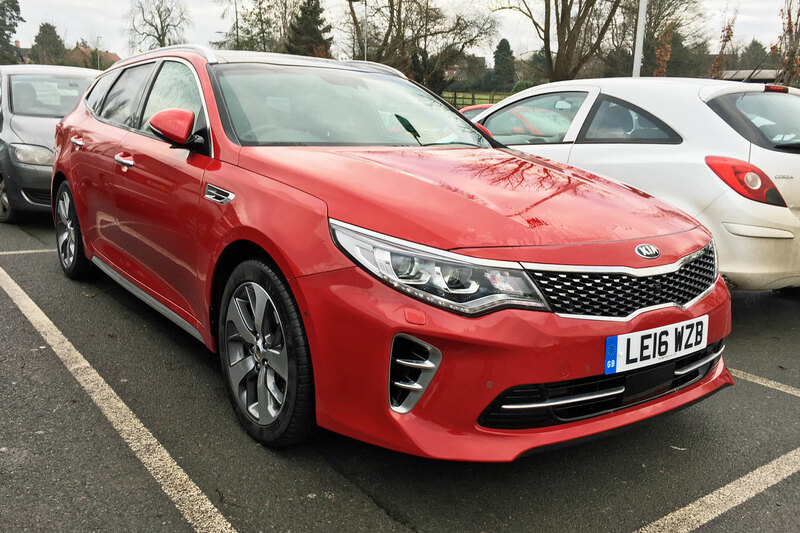 Surrey County Cricket Club runs a fleet of Kia vehicles, with the Oval car park featuring the likes of Sportage, Optima Sportswagon and Sorento models. 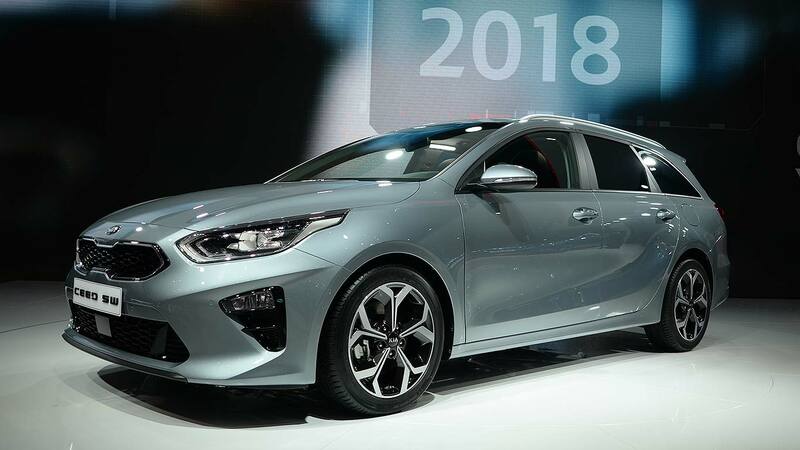 Kia has revealed prices for the new 2018 Ceed range – and, starting from £18,295, they open at a higher price point than many expected when the new car was revealed at the 2018 Geneva Motor Show. It’s also a £1,000 hike over the current Kia cee’d. Note the name change: after two generations of annoying grammar zealots, Kia has finally both dropped the apostrophe and capitalised the first letter: Ceed still stands for ‘Community of Europe, with European Design’, but it’s no longer a spellchecker’s nightmare to write down. 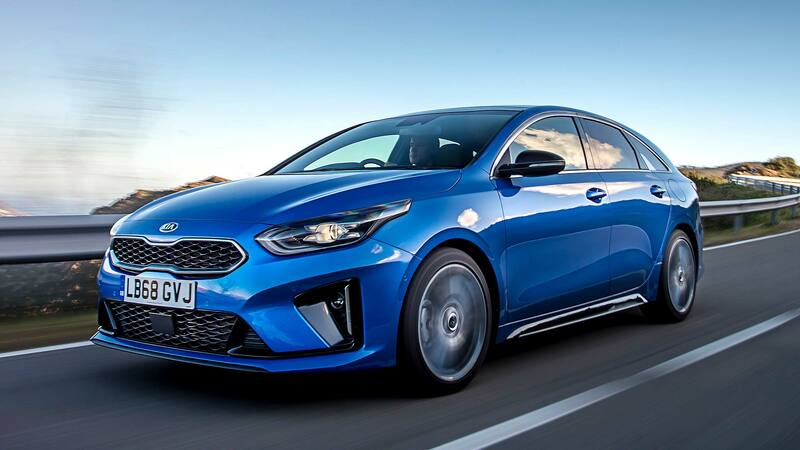 Kia hasn’t revealed the full price rundown yet, but has confirmed the new Ceed will be sold in 2, Blue Edition, 3 and First Edition grades at launch. Engines will include a 100hp 1.4-litre, 120hp 1.0-litre T-GDI, 140hp 1.4-litre T-GDI, plus a 1.6-litre CRDi diesel with either 115hp or 136hp. The fastest petrol will do 0-62mph in 9.9 seconds; the greenest diesel will average 74.3mpg. Kia’s sold 1.26 million Ceed since it was launched in late 2006, and it wants to step up a gear with this third-generation car. 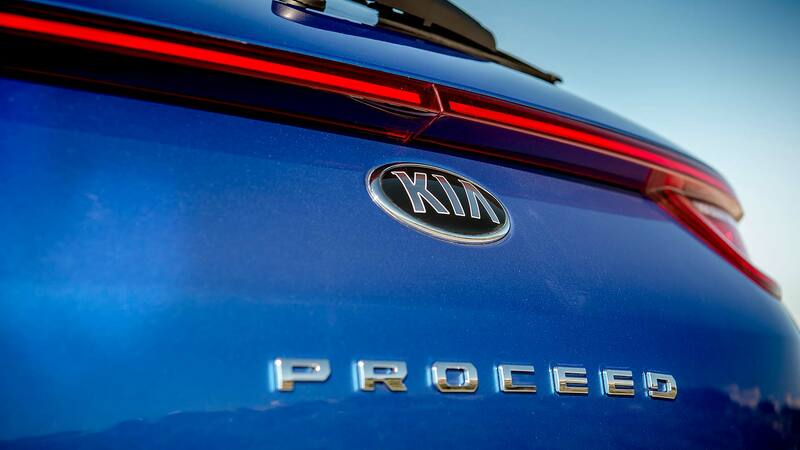 Indeed, it’s a vital Kia launch that’s essential to the firm’s growth plans. 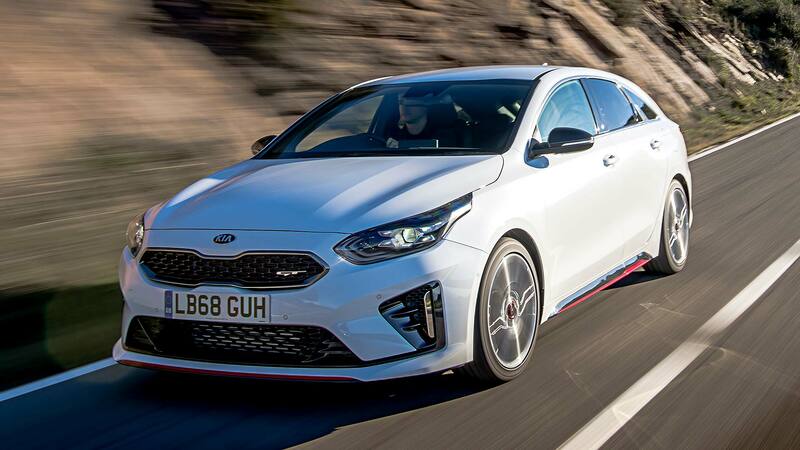 Emilio Herrera, COO for Kia Motors Europe, said: “2006 saw Kia’s European market share reach 1.5 percent, and just over a decade later, in 2017, it’s grown to 3.0 percent. 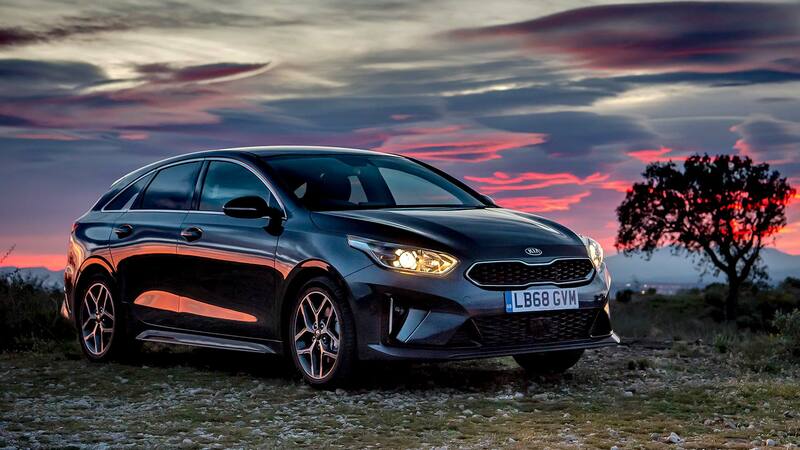 Since the introduction of the Ceed, Kia’s annual European sales have more than doubled, with over 472,000 cars sold last year. 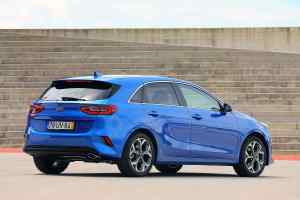 That’s why so much has gone into the new car, which Kia has designed to look lower, sleeker and sportier. It’s longer, wider and has a longer rear overhang; there are more straight lines rather than rounded-off edges, and the cab-forward look of the old model has been moved back. The new Ceed should also drive much better. Kia says the front springs are 40 percent stiffer, the steering is 17 percent more direct and it’s even offering optional Michelin Pilot Sport 4 tyres which deliver more grip in bends. 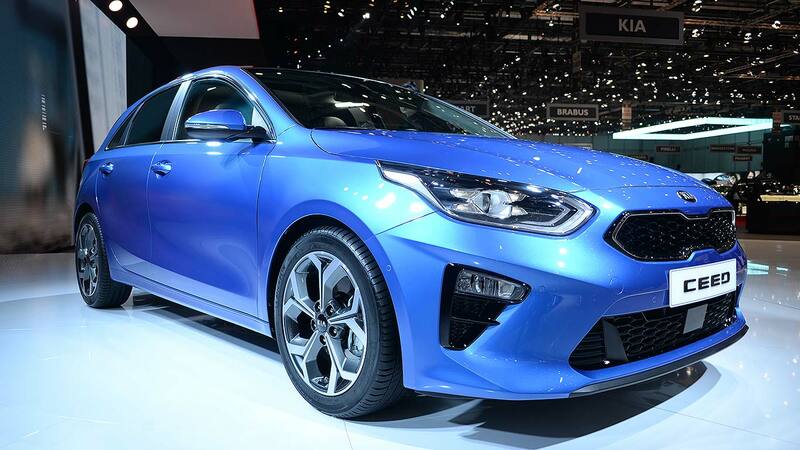 Can’t wait for the new Ford Focus? 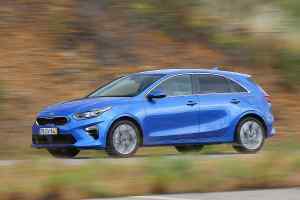 Kia has revealed its new Ceed hatchback and Ceed Sportswagon estate at the 2018 Geneva Motor Show. 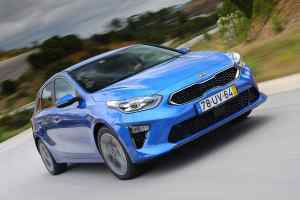 Based on Kia’s new K2 platform, the new Ceed (note the lack of an apostrophe – at last) is 20mm wider and 23mm lower than its predecessor. Its wheelbase remains the same, while a rear overhang extended by 20mm compensates for a 20mm shorter front overhang. 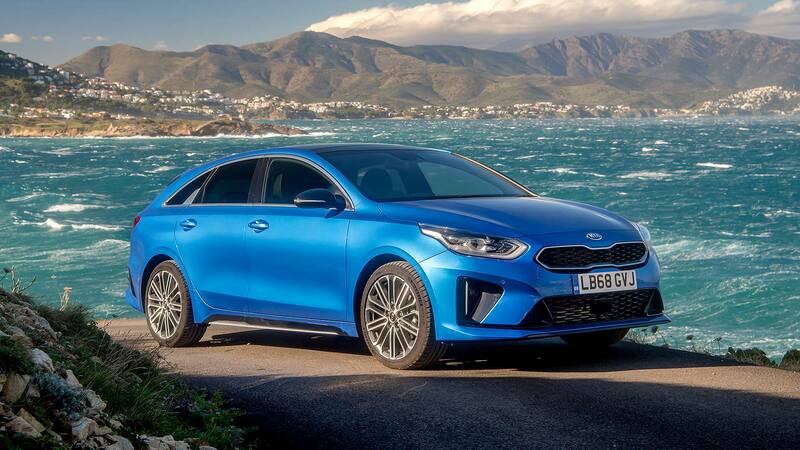 Engineered especially for Europe – something that has helped Kia become one of the big boys over here in recent years – the new Ceed will come with a variety of petrol and diesel engines. The petrol line-up is made up of a 100hp 1.4-litre, a 120hp 1.0 turbo and a turbocharged 140hp 1.4. Diesel buyers are catered for with a 1.6 in 115hp and 136hp guises. There’s also a choice of a six-speed manual or seven-speed double-clutch auto transmissions. Built alongside the Sportage and Venga in Slovakia, the Ceed marks a clear step upwards in terms of quality. Sitting in the cabin at Geneva, cues from recent Kia models such as the upmarket Stinger are obvious. 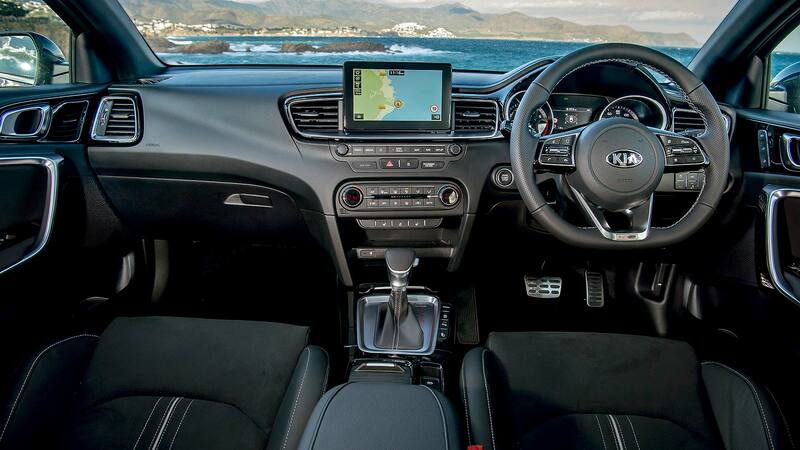 There’s a new infotainment system, available with a five- seven- or eight-inch screen, while a variety of drive modes cater for all driving styles. The boot’s 15 litres bigger than before, up to 395 litres in the hatchback (which, incidentally, is now only available as a five-door). The Sportswagon accounted for around 40 percent of all sales of the outgoing Ceed, with the new model boasting a boot size of 600 litres (bigger than the larger Optima Sportswagon but short of the Honda Civic’s 624 litres). Technology includes level two autonomy in the form of lane-following assist. This tracks vehicles in front of the Ceed in traffic and uses road markings to keep the car in its lane on the motorway. 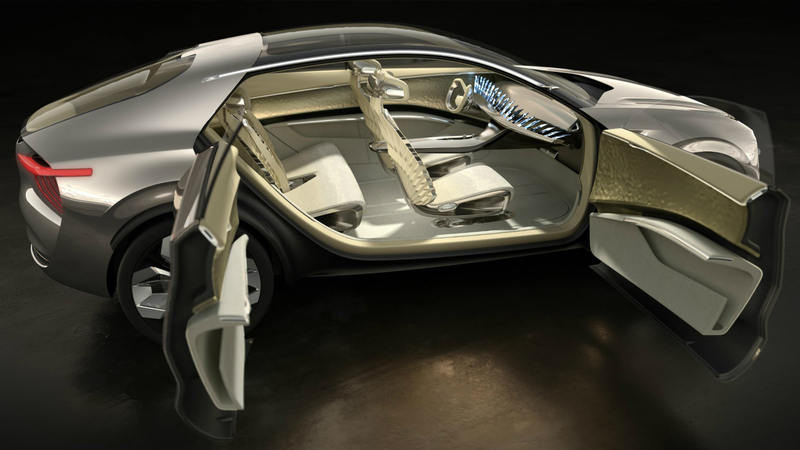 It can control the steering, acceleration and braking using sensors to monitor vehicles ahead. It operates at speeds between 0mph and 80mph. Prices are yet to be announced, but we doubt there’ll be much of an increase over the current £15,365 start-price. In true Kia fashion, the new Ceed will come with a seven-year, 100,000-mile warranty with sales starting in summer. Still tempted to hold on for that Focus? 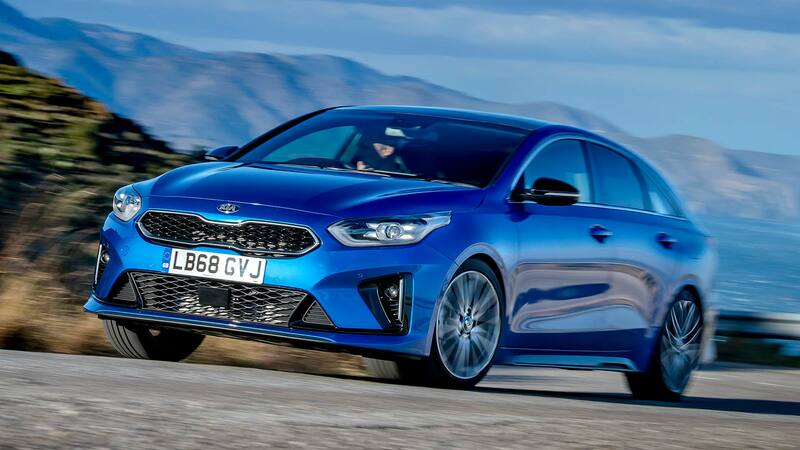 The star of this year’s Detroit Auto Show, the Kia Stinger, has had its European specifications confirmed – with a 2.2-litre turbodiesel likely to be the biggest seller when it goes on sale in the UK. 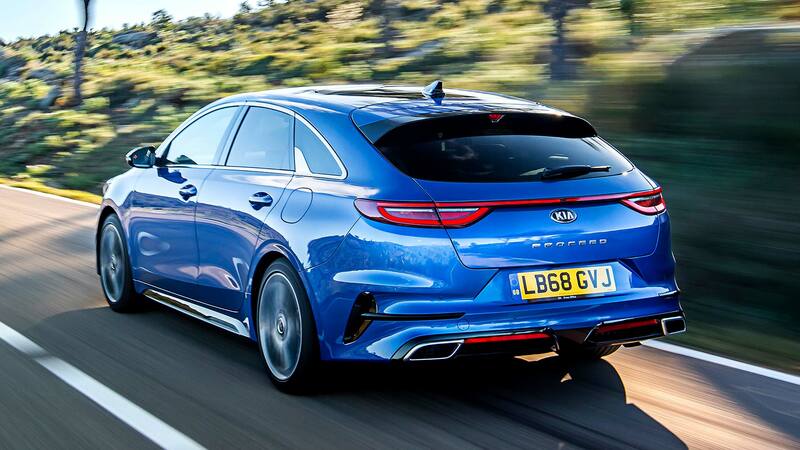 The Stinger is a rear-wheel-drive sports saloon that could compete with upmarket offerings such as the BMW 3 Series, Audi A4 and Mercedes-Benz C-Class. 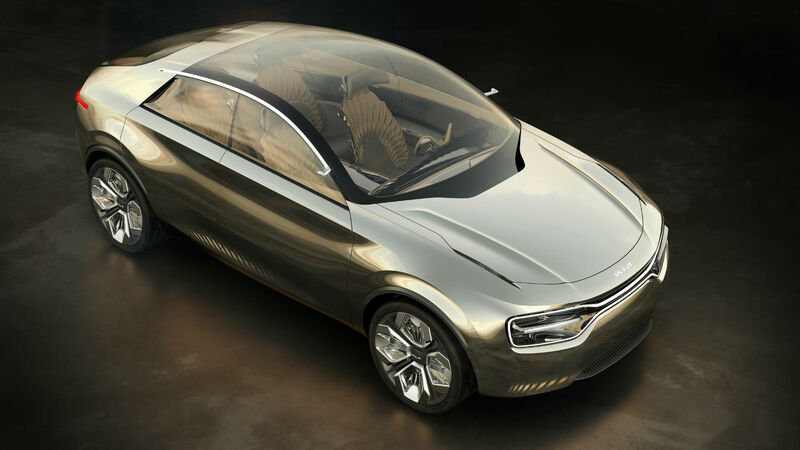 The 2.2-litre turbodiesel will produce 200hp, hit 62mph in 8.5 seconds and a top speed of 140mph. Although economy figures haven’t been confirmed, a diesel variant could be a huge hit with company car drivers looking for something unusual. 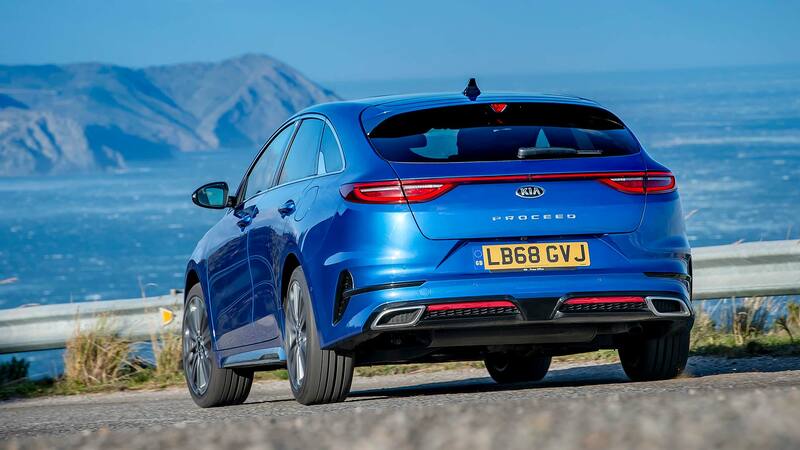 There is a caveat, however, as Kia UK hasn’t confirmed whether the diesel will be available in right-hand-drive markets. A 2.0-litre turbo petrol engine and a powerful 3.3-litre twin-turbo V6 in the form of the range-topping Stinger GT are expected to be sold in the UK. 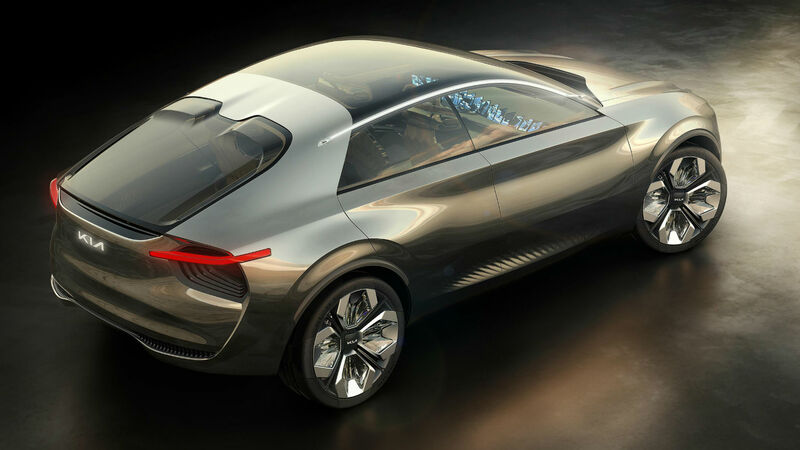 The latter produces 370hp and will hit 62mph in 5.1 seconds, making it the fastest Kia ever sold. Top speed is expected to be around 170mph. 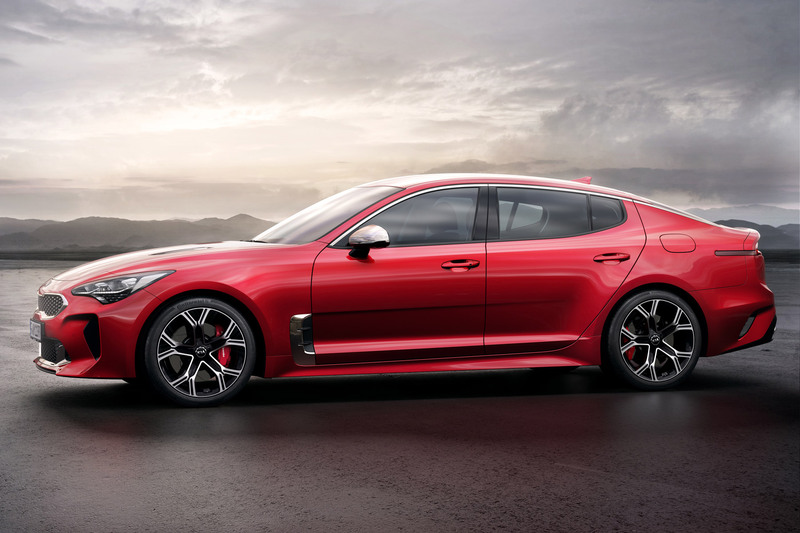 Kia says the Stinger’s driving dynamics will live up to its sporty design. 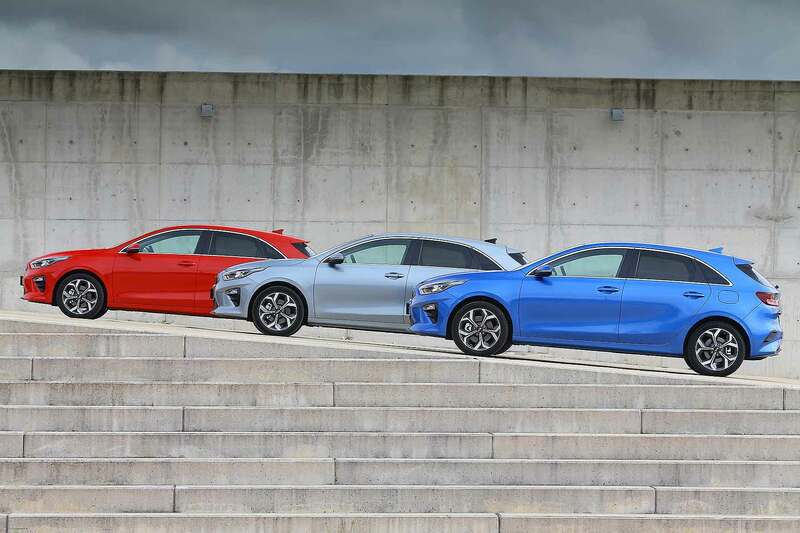 As such, the Stinger’s ride and handling were honed at Germany’s infamous Nürburgring Nordschleife, under the watch of ex-BMW Albert Biermann, Kia’s head of vehicle test and high performance development. The prices are yet to be announced, but speculation suggests the eye-catching four-door fastback could start at around £28,000.